We do not offer payment plans, but you can apply for Care Credit. 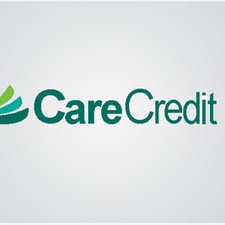 Care Credit a charge card that can help pay for medical expenses including vet bills and other human related medical expenses. You can appy online (click the link below) or in clinic. No interest is charged if the balance is paid off within 6 months. 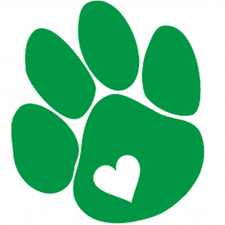 Care Credit can also be used for..
Join Petly today... for your own personalized pet health page. Your petly page makes it easy to view your pet's medical history and appointment details all in once secure place. And you can check your page for pet health-relared news and educational articles. Please send us your e-mail and we will send you an email inviting you to join Petly and you'll be on your way. Did you know that every 6 seconds a pet parent gets a vet bill for over $1000? Medical bills can add up quickly! 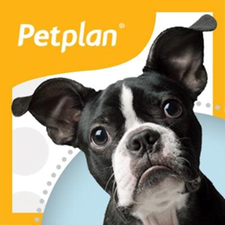 What does Pet Plan insurance cover? How do you enroll or a free quote? Follow us on facebook for updates on this product. Dual cleaning-action. Used daily, they work to clean, then protect. 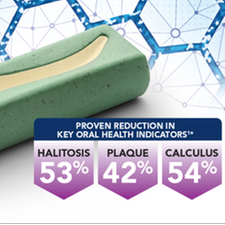 Plaque and calculus problems are common in dogs. They often start when bacteria attach to teeth forming plaque. Plaque and calculus are common problems in dogs. Bacteria can lead to bad breath and attaches to teeth forming plaque, which then hardens to form calculus. 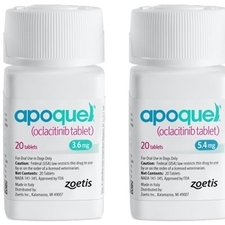 NOT a steriod, anitihistimine or cyclosporine, so it does not lower the immune system. When to begin Heartworm testing? What types of prevention do we offer? Heartgard is a chewable monthly treatment for dogs 0 to 100 pounds. 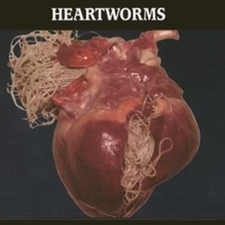 It is used for prevention of heartworms, roundworms and hookworms. Interceptor (canines and felines) is a monthly chewable that prevents heartworms, hookworms, roundworms and whipworms. Proheart is an injectable heartworm prevention that last for 6 months that can be administered to dogs 6 months of age of older. It has been proven effective in all breed sizes and dosage size depends upon weight. A simple blood test, a 4dx, can be done in clinic to dertermine which tick borne disease may be the underlining cause of illness. 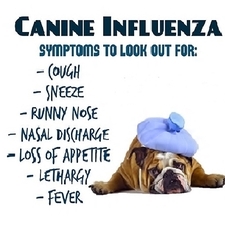 If you suspect your pup may be suffering from one of the diseases below, call and make an appointment ASAP. Year round prevention is recommended. 1. Lyme disease is one of the most common tick-transmitted diseases in the world but only causes symptoms in 5-10% of affected dogs. It is caused by a spirochete (bacteria) species of the Borrelia burgdorferi group. When infection leads to disease in dogs, the dominant clinical feature is recurrent lameness due to inflammation of the joints. There may also be a lack of appetite and depression. More serious complications include damage to the kidneys, and rarely, heart or nervous system disease. 2.Ehrlichia is transmitted by ticks including the Brown Dog Tick. Ehrlichiosis can have three phases. 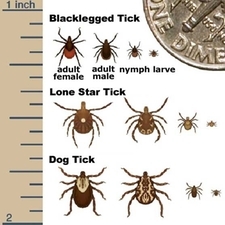 Signs of the acute phase of the disease usually develop 1-3 weeks after the bite of the infected tick. The acute phase of the disease generally lasts 2-4 weeks. The Ehrlichia enter white blood cells and reproduce inside of them. In addition to the blood, these cells are found in the lymph nodes, spleen, liver, and bone marrow. 3. Rocky Moutain spotted fever affects dogs and humans and is transmitted from the bite of the American dog tick Through blood tests, it has been demonstrated that cats may also become infected, but the disease in cats is minimal. Various rodents, raccoons, and fox may carry the causative agent of Rocky Mountain spotted fever. 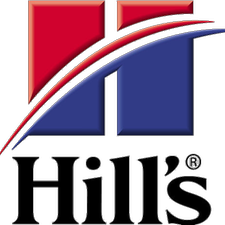 Why do we recommend Hills Science Diet? Each ingredient is analyzed to ensure its safety when included in the food your pet eats. We analyze our products? ingredient profile for 50 nutrients to ensure your pet gets the stringent, precise formulation it needs. We inspect every ingredient via microbiological, sensory, chemical or foreign matter testing to give you peace of mind when you feed your pet.Only ingredient suppliers whose facilities meet stringent raw material quality standards are approved by Hill's®.Every location for every ingredient supplier is separately qualified to ensure consistency in ingredient quality. Product quality is continuously monitored and electronically documented through on-line quality checks throughout the manufacturing process.We conduct annual Quality Systems audits for all manufacturing facilities to ensure we meet the high standards your pet deserves.We demand compliance with current Good Manufacturing Practices (cGMP) and Hill's® high quality standards, so your pet's food is produced under clean and sanitary conditions. We conduct final, daily safety checks on every Hill's® Science Diet® and Hill's® Prescription Diet® pet food product to help ensure the safety of your pet?s food.All Hill's® pet food products are screened for metal detection and foreign material prior to release.All finished products are physically inspected and tested for key nutrients prior to release to help ensure your pet gets a consistent product bag to bag. Olfaction is key to triggering attraction to food.Texture is an important factor in food selection - dogs prefer chewier kibbles, cats prefer smoother texture and crunchier kibbles. Different shaped kibbles designed for different pet preferences.Kibble size suited to how pets like to chew and swallow their food. State-of-the-art, sustainable manufacturing facilities to make the highest-quality pet food. Precise manufacturing process for optimal kibble structure and texture.